Sound Microbiology Laboratory is committed to providing the utmost in quality environmental services, including analytical laboratory and consulting services, through delivering outstanding customer care that exceeds our client’s expectations. Sound Microbiology Laboratory is an accredited laboratory. 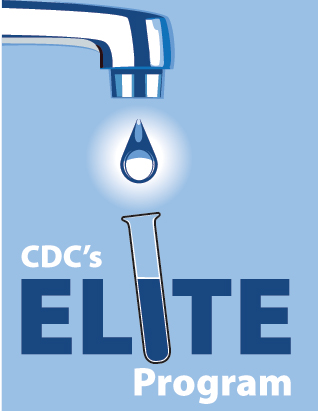 We follow guidelines as outlined by ISO 17025, Standard Methods for the Examination of Waters and Wastewaters and accrediting/certifying organizations like the Centers for Disease Control and the Washington State Department of Ecology. We firmly believe in quality assurance and quality control processes to ensure that our clients’ reported data are reliable and defendable. See Sound Microbiology Laboratory’s accreditations. Select any of the analytical services below for more details on sampling guidelines, shipping requirements and turn-around times. Select any of the forms below to download (available in .pdf format). Contact us if you’d like any of the forms e-mailed or faxed to you. Ready to submit samples? Download forms depending upon sample type (available in .pdf format). New Account Form: To be completed by commercial accounts new to Sound Microbiology Laboratory. 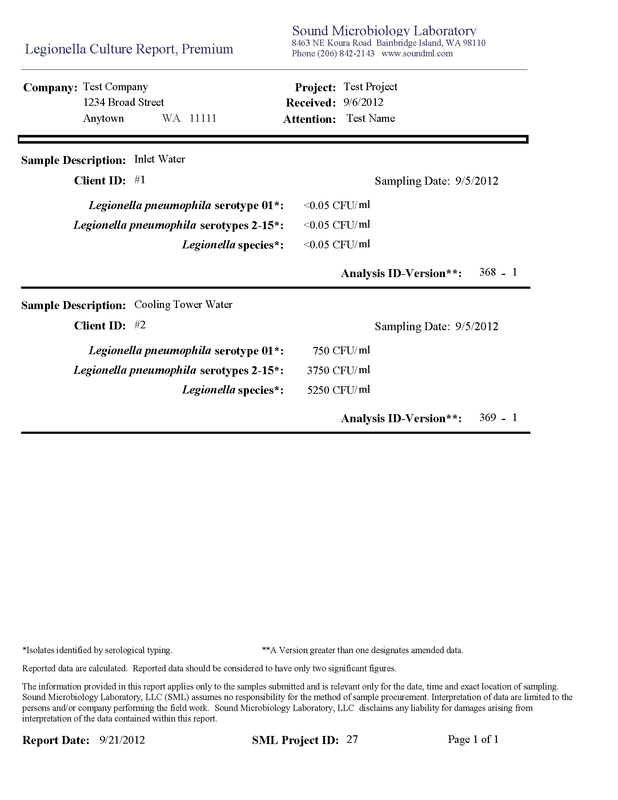 Sample Analysis Report: See a sample Sound Microbiology Laboratory Analysis Report. To view more sample reports visit our Lab Results and Reports page.